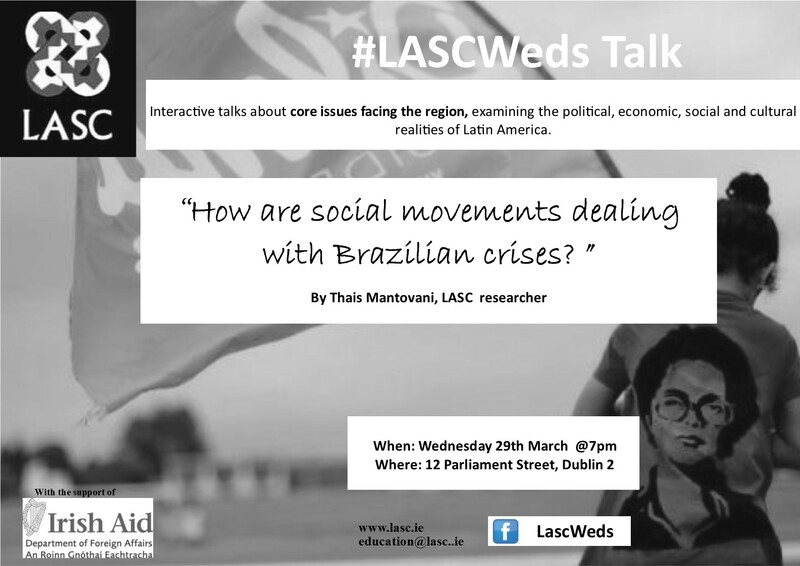 LASC > Events > #LASCWeds Talk: How are social movements dealing with Brazilian crises? #LASCWeds Talk: How are social movements dealing with Brazilian crises? This talk will give an overview on how social movements – particularly the landless movement (MST), women and indigenous people – are dealing with the political and economic crises in Brazil, and their agenda and vision for the future. The discussion will focus on the losses these groups may suffer if the reforms proposed by the government are approved. Since assuming the presidency of the country, Michel Temer has taken several measures that directly undermine these movements, withdrawing rights and repealing previously approved policies.